Kelley Blue Book recently announced the winners of the 2017 Kelley Blue Book Best Buy Awards, honoring the top model-year vehicle choices available in the U.S. market. Of more than 300 new-car models available for 2017, KBB’s editors named the 2017 Honda Civic the Best Buy of 2017 alongside Best Buy Award winners in 12 major vehicle categories. 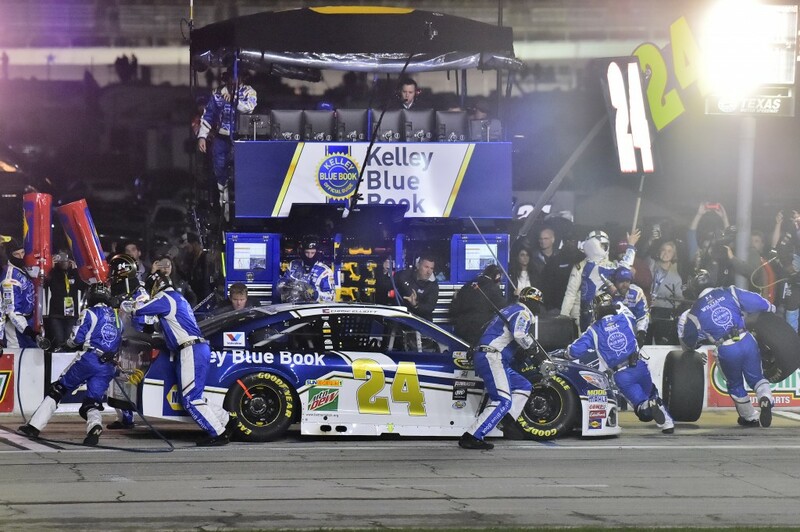 We spoke to NASCAR driver Chase Elliott about the KBB awards, his rookie season, and if his dad, legendary driver Bill Elliott aka “Awesome Bill From Dawsonville,” ever made him use KBB to help with an automobile purchasing decision like our dads did. When was the last time you bought a car? When I was your age, my dad made me use Kelley Blue Book to confirm the right price. Did your dad ever make you do that? Yes! I have in the past. I haven’t purchased anything recently because I’ve been so focused on my rookie season. But I have definitely looked at KBB over the years, trying to make a good move in terms of a purhcasing decision, and my dad got me started on that. What’s the weirdest thing you’ve thought of while driving 200 MPH on a racetrack? That’s a good question. Once we get going in a race, we have so many things that are going on. Trying to make the car better, trying to improve, trying to drive better, communicating what you need to your team. We just have a lot of things going on. That being said, you don’t have a lot of time to think about anything outside of that. And if you do, your head probably isn’t in the right place. We try to stay as locked in as we can. Your rookie season is in the books. What was the most unexpected experience you had? A lot of ups and downs for us. This has been a learning year. We’ve had some good runs, had some bad runs, and some stuff in between. So our goal moving forward is to try and clean it up, make it go better and put weekends together as a whole from start to finish. It’s definitely a learning process. Of all the drivers you raced this year, who was the most difficult to pass? Depends on what kind of mood they’re in. A lot of them can be difficult to pass if they’re in a bad mood. It just depends on the weekend. It’s hit or miss, and a lot of them you can’t tell what they are thinking now or five minutes from now. The experts from KBB narrowed the initial field of over 300 models to a few dozen Best Buy Award contenders in 12 major vehicle categories and then spent several weeks testing and evaluating all of the finalists head-to-head to ultimately determine the winners. Check out the results below.